In search of an answer to this question, Jacob-Jenkins (Smith) dons whiteface to play both hero and villain in Boucicault’s drama and is joined by the original Irish playwright himself (Haynes Thigpen), playing a Native American in, er, redface, to act out the plot of the original play. Heir to the plantation George is in love with the illegitimate daughter of his late uncle, Zoe (Amber Gray), but Zoe, while she’s been raised as a lady, is an eighth black (and so an ‘octoroon’) and they soon find out her free papers aren’t in order. Add to that large debts attached to the plantation, an evil and lascivious neighbour (also played by Smith) who wants Zoe for himself, an aggressively forward local heiress (Mary Wiseman) with her sights set on George, and the slaves attached to the estate, and you have a play complete with court scenes, murder, slave auctions and intrigue. 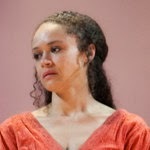 In Jacob-Jenkins’ adaptation the roles of the slaves are by far the most important, with the conversations between Minnie (Maechi Aharanwa) and Dido (Pascale Amand) providing commentary, in more contemporary language, on the play’s events. While others rush around the stage performing cross race (Ian Lassiter in particular donning blackface to play slave characters as they might have been presented on the Victorian stage), these characters (played by black actors), while they don’t have the same level of remove as the characters of Jacob-Jenkins and Boucicault from the action, almost seem to play out the role of a contemporary black reader approaching the play. As the melodrama reaches its dramatic conclusion, the play takes a step back, drawing our attention to the artificiality of the heavily plotted action and instead delivering a killer punch of its own, exposing the brutal realities of the racism which has been a source of humour previously. Cleverly, the climax of An Octoroon comes with the display of a photograph and a period of intense silence in the theatre, just as, in the original melodrama The Octoroon, the murderer is foiled by (cutting edge) photographic evidence. The play was fascinating, veering from the darkly entertaining to the frankly horrifying, and always delivered surprises – from the adaptations of the initially bare looking set, to the arrival of the actual Jacob-Jenkins wearing a rabbit head to aid transitions between scenes. Other reviewers, and a few audience members I spoke to on the night, have expressed some disappointment that the play doesn’t seem to reach any conclusions about what it means to receive this kind of text, to stage a story so removed from our contemporary ideas around what’s acceptable when dealing with race. For me though, this was its magic. As a Victorianist, I experience a similar range of emotions when reading and studying. How can I feel when reading about views I would find objectionable from my contemporaries? Is it wrong of me to enjoy these novels, these poems, these plays? By injecting new life into The Octoroon, using its effective dramatic qualities to expose the darkness of its moral assumptions, Jacob-Jenkins gives us one creative way in which these questions can be addressed. Writers like Boucicault don’t need to be left in the past, the preserve of academics, if writers today are brave enough to enter into a dialogue with them. 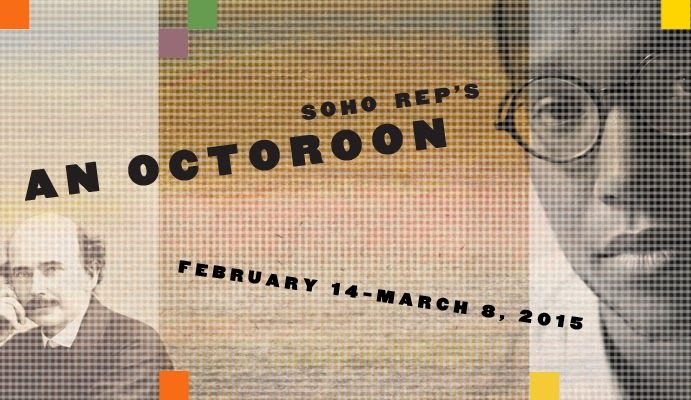 An Octoroon is on at the Theatre for a New Audience until 8th March 2015. Tickets cost $60-85 but under 30s and students can get tickets for $20 under the New Deal (what I did!). If you know of any other productions and adaptations of 19th-century plays in the New York area you think the Secret Victorianist should see then let me know – here, on Facebook, on Google+ or by tweeting @SVictorianist! A Nineteenth Centuryist in Washington D.C.
Rather appropriately for the President’s Day weekend, the Secret Victorianist spent the last few days in Washington D.C. It was my first visit to the US capital, and partially inspired by my recent review of Henry Adam’s Democracy, which provides a fascinating glimpse into the social and political milieu of the city in the 1800s. It was a culturally diverse weekend (from Renaissance art to 50 Shades of Grey, with lots in between), but I wanted to share some nineteenth-century highlights among the attractions I visited. First up was the National Museum of American History, where three very different exhibitions which dealt with the period stood out. 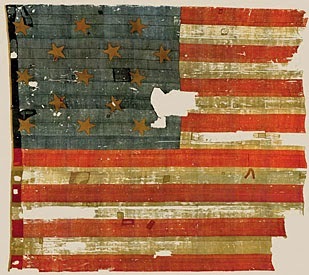 There was the original star-spangled banner – the huge flag which flew above Fort McHenry to mark its victory over the British in September 1814 and which inspired the poem by Francis Scott Key which would become the country’s national anthem. O'er the land of the free and the home of the brave? Etc. What I found interesting here, aside from the impressively huge flag itself, was the story this told about the afterlife of objects and texts. Just as the flag has gone through changes – been invested with a meaning beyond its initial use, cut up to provide keepsakes, displayed in private homes and in public spaces, so too has Key’s poem been adapted and repurposed. 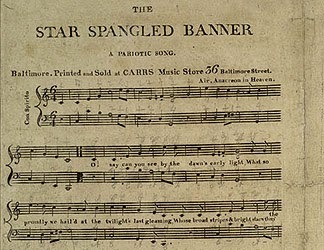 Listening to older recordings of the anthem being sung and comparing to the conventions of anthem-singing today, for example, posed questions about cultural continuity and evolution. The exhibition isn’t just an important piece of US history – it’s a testament to the ongoing and ever-developing nature of history and an argument in itself for the value of reception studies. Meanwhile Hear my Voice was a (much emptier!) 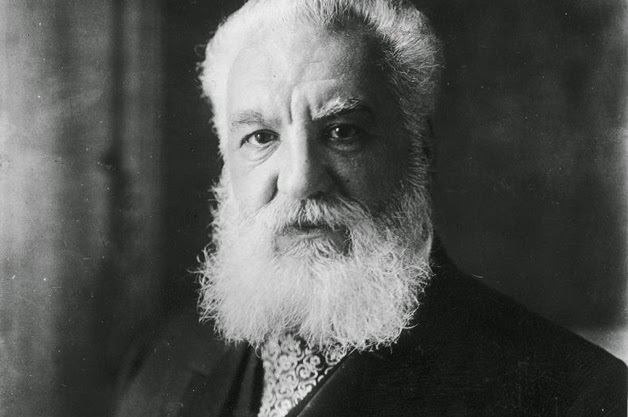 special exhibition featuring recordings and equipment from Alexander Graham Bell’s Volta Laboratory in Washington D.C. in the 1880s. Indistinct and crackling as the recordings are, hearing voices from the nineteenth century, testing equipment and reciting ‘Mary Had a Little Lamb’, is a real thrill, and one which draws attention to the impressive nature of the kind of technologies we now take for granted. If learning about the star-spangled banner led to reflections on American patriotism today, a way of looking back at the nineteenth century through a different lens, was the Rising Up: Hale Woodruff’s Murals at Talladega College exhibition. 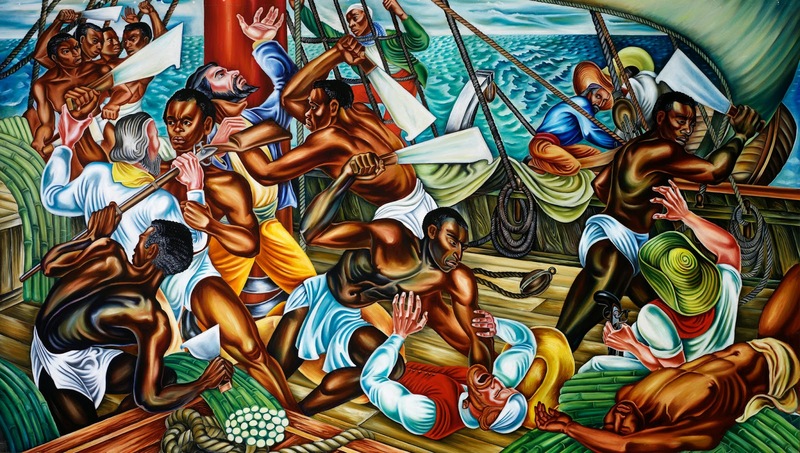 This series of six murals by Woodruff, painted in the 1930s, was commissioned by the Alabama college and portrays significant events in African American history, including the foundation of Talladega College in 1867 and the slave uprising on the Amistad in 1839. Seeing a nineteenth-century slave ship and courtroom rendered in Woodruff’s colourful, geometric murals is vivid and compelling, and with recent interest in eighteenth- and nineteenth-century narratives with black heroes and heroines at their centre (think Twelve Years a Slave and Belle), it seems like a timely moment for these wonderful murals to be touring the country, post-restoration. 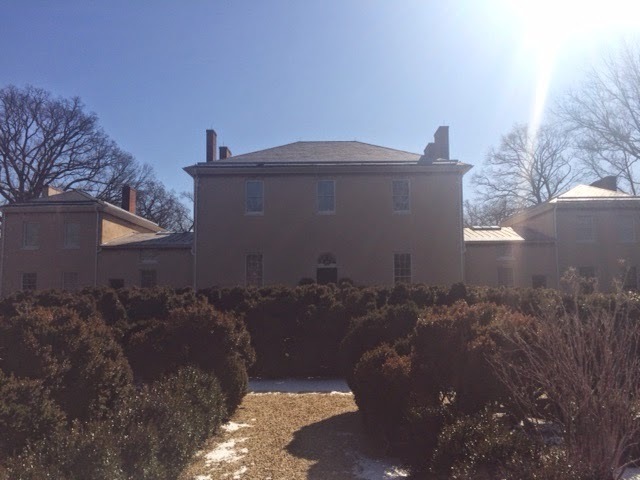 Away from the history museum, I also visited the historic Tudor Place – a family mansion in Georgetown, which was home to Thomas Peter, and his wife Martha (granddaughter of Martha Washington), and four generations of their descendants (until 1983). The beautiful house, which dates from 1814, holds many objects from Mount Vernon, and visiting gives you an insight into the life of one family throughout the entire nineteenth, and most of the twentieth, centuries, against a backdrop of large scale political and social change and upheaval. The family watched the White House burn from their windows in 1814, hosted Union soldiers, despite their Southern sympathies during the Civil War, and, throughout all, lovingly preserved the character of the house. On what was one of the coldest days of the year in D.C., I was lucky enough to have the first tour of the day entirely to myself, but would love to visit again in the summer to wander around the tranquil and extensive gardens. If you’re fed up with the throngs at the city’s headline tourist attractions, this is a gem. 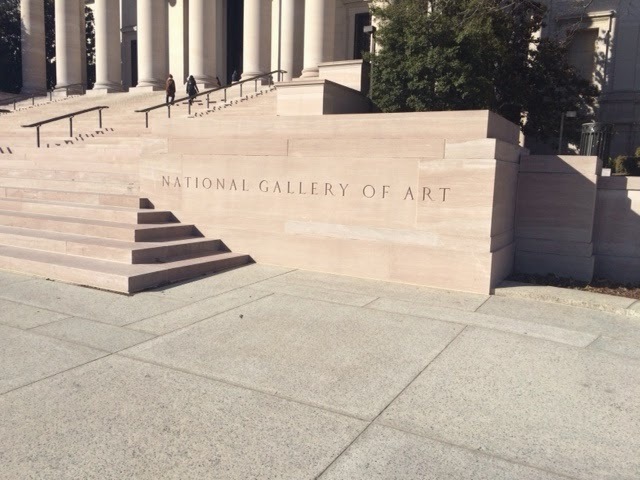 A final mention goes to the current display of works from the Corcoran Gallery at the National Gallery of Art, as the latter incorporates 6,000 works from the former into its collection. There’s so much here, but I particularly enjoyed Frederic Edwin Church’s Niagara (1857). Catch it with its fellow pieces from the Corcoran while you can. Do you know of any other great nineteenth-century attractions in D.C.? Let me know for next time I visit – here, on Facebook, on Google+ or by tweeting @SVictorianist! 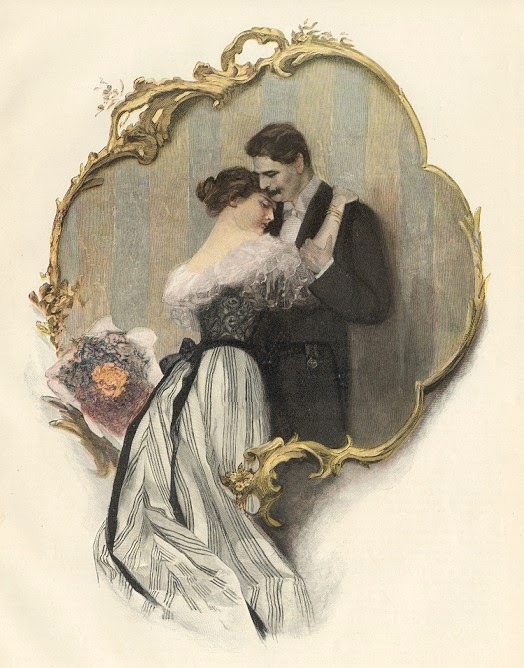 Labels: America, American, Art, Film, Henry Adams, Race, Science, Washington D.C.
Last February, I shared some inspiration for literary lines to use whatever your romantic situation on Valentine’s Day. And this year, I’m bringing you even more potential card-fillers (thank me later!). Can you name the novel for each line? “My affections and wishes are unchanged, but one word from you will silence me on this subject for ever”. “I dare say I am a romantic old fool; but if you do not dislike me, and if you do not love any one else, I see no reason why we should not make a very happy couple”. Do you have any other Victorian Valentine's Day suggestions? Let me know - here, on Facebook, on Google+, or by tweeting @SVictorianist! 1. Wuthering Heights, Emily Bronte; 2. The Picture of Dorian Gray, Oscar Wilde; 3. Pride and Prejudice, Jane Austen; 4. The Portrait of a Lady, Henry James; 5. The Mayor of Casterbridge, Thomas Hardy; 6. Lady Audley’s Secret, Mary Elizabeth Braddon; 7. Jane Eyre, Charlotte Bronte; 8. A Tale of Two Cities, Charles Dickens; 9. Good Lady Ducayne, Mary Elizabeth Braddon; 10. North and South, Elizabeth Gaskell.